Who doesn’t wish for whiter, brighter teeth? Have your pearly whites lost their shine because of yellow stains and discoloration? Stained teeth can occur as we age, and what goes into your mouth shows up on your teeth! 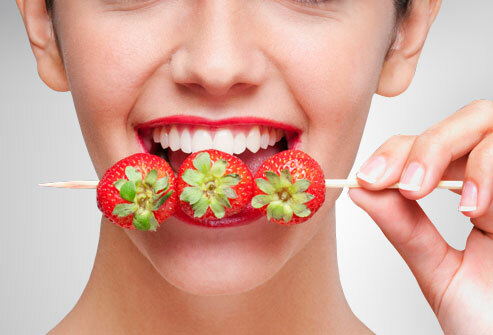 So here are some tips that will get your teeth looking as good as new! Teeth whitening could start by simply throwing away your old toothbrush. 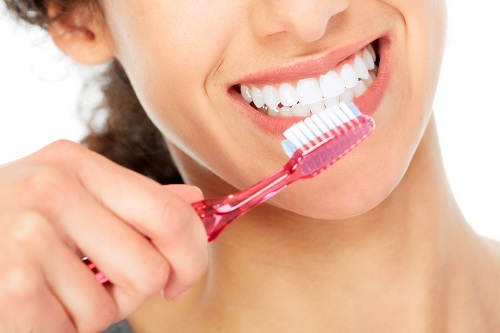 According to WebMd, replacing your toothbrush is a must every three months, or as soon as you see the majority of the bristles begin to bend and look worn down. After the bristles are worn down, your toothbrush is not cleaning your teeth properly anymore. Yes, you read it right, strawberries! These berries are packed with malic acid, a natural enamel whitener. this must be why the gorgeous Catherine Zeta Jones used it to whiten her teeth. Who would have thought? Moreover, Tyra Banks tried this teeth whitening trick on her show. She simply mashed up about four or five strawberries and rubbed this yummy mixture all over her teeth. Some people say this really does work, and if Catherine Zeta Jones rubs her teeth with strawberries, it must be worth giving it a try. Rinse well afterwards, and tell us how it worked! We usually brush our teeth in a few seconds, and then rush away! However, the ideal amount of time to get all the bacteria out is at least two minutes. Use your watch or keep a timer in the bathroom and set it for 2 minutes. ; or better find a tune that lasts about two minutes and hum it to the end! Does your toothbrush look as if it has been used to clean the car? If so, you’re probably brushing too hard. Contrary to what some scrub-happy people think, brushing with force is not the best way to remove plaque, it can end up damaging your gums! The best way is to place your toothbrush at a 45-degree angle against your gums and gently move it in a circular motion, rather than a back-and-forth motion. 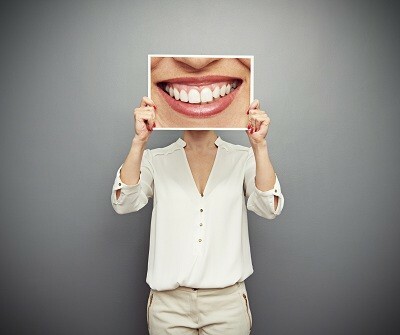 Some teeth whitener are proven to be effective, therefore, it’s always a good option! According to amazon, the bestsellers of all teeth whiteners are crest 3D white and luster. You can try different products and tell us what’s your favorite. Do not forget to consult your dentist!